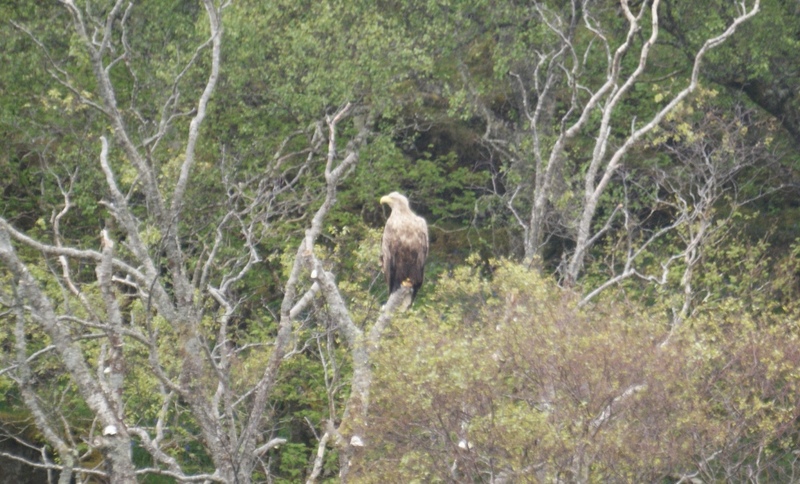 Mull and Ardnamurchan photos: Part 1 – Sea Eagles | Why watch wildlife? Since I did a day-by-day rundown last week, I’ve decided to do the posts with pictures on a slightly more thematic basis. Some of the themes could overlap (for example, these Sea Eagle photos could just as easily go in ‘Seas and Shores’), but it’s really just so I’m not throwing everything into one big post. At the end I’ll cover where I stayed, who I took trips with, places to eat etc. Aim is for one post a day for the next few days. 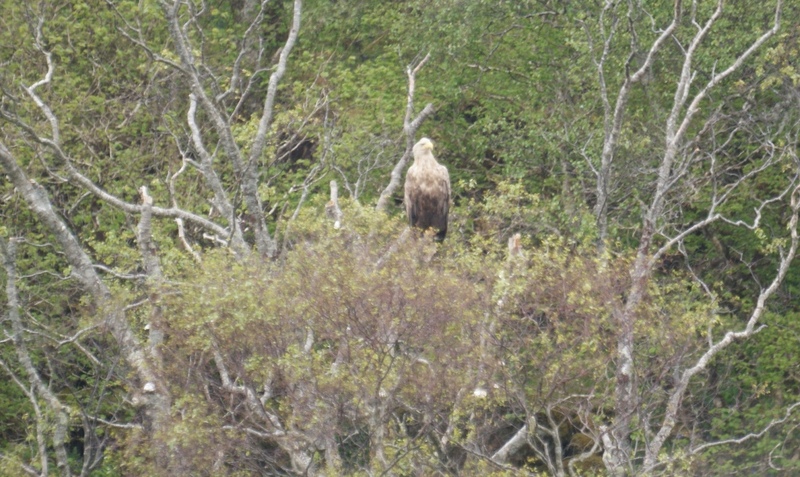 I thought I’d start off with the real highlight, which was the Sea Eagles (or White Tailed Eagles). This was one thing we really wanted to see, but as you’ll know we didn’t actually spot them till the final day. 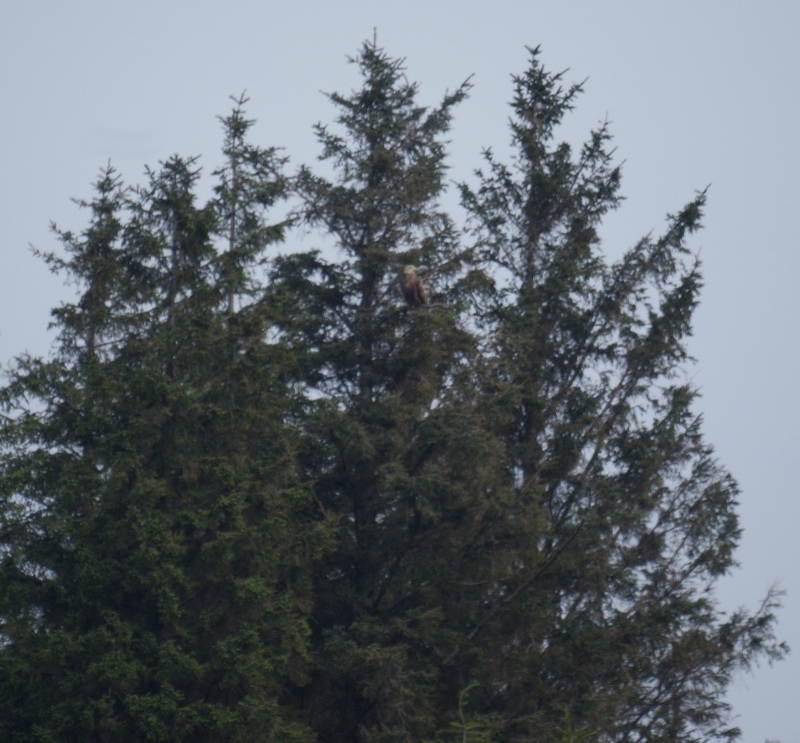 This Eagle sat there for 30-40 minutes, apparently waiting for a boat that throws three fish out to him, which he then takes back to the nest. Sadly we had to leave before then. I was struck by how little I could see of the white tail, and how pale his head was. You get the scale of the wings here, 2 metres or more across, very broad, and giving the nickname “flying barndoor”. You can see the white tail much more clearly on the bird in the top two pics, and how pale that head is. 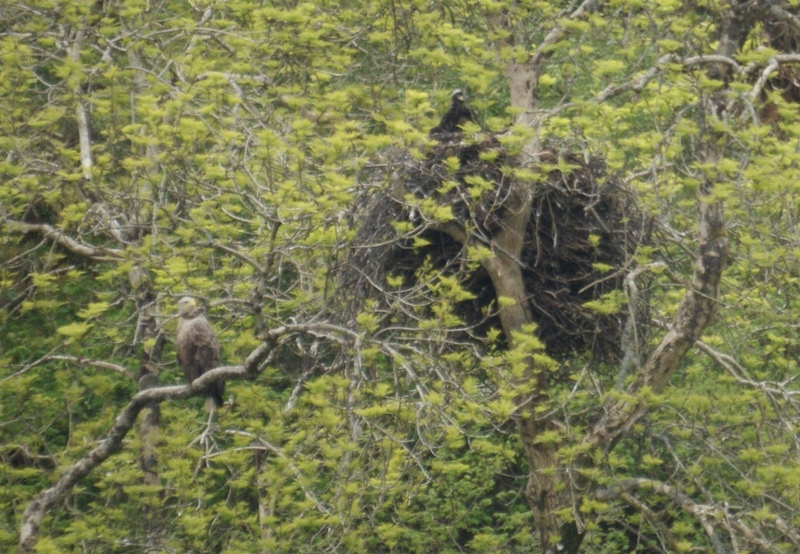 In the last of the pictures you can see the huge nest, the female to the left and, hopefully, you can spot the ‘eaglet’ peering out the top too! The nests are huge and can be metres deep and across. They basically keep building it each year until it collapses. 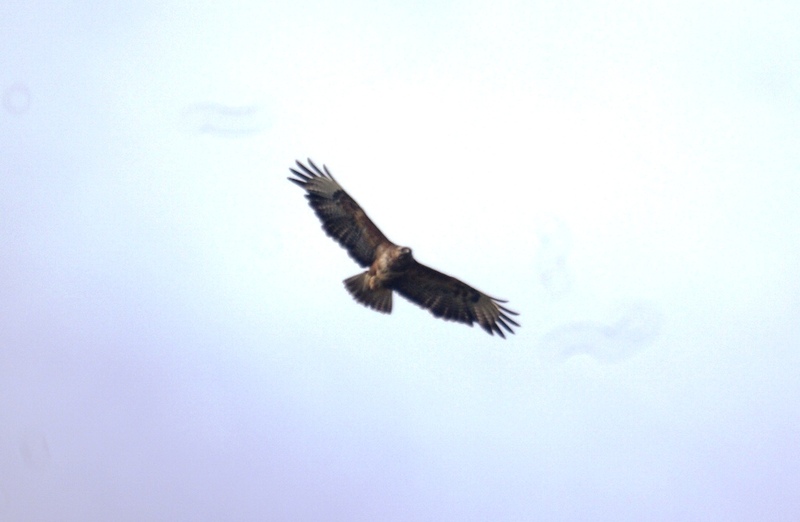 I also saw Golden Eagle from the bay at the foot of Ben Hiant on Ardnamurchan, and plenty of ‘tourist eagles’, buzzards, all over. Tomorrow, it’ll be birds of the seas and shores, with plenty of puffins. After that we’ll look inland, we’ll look at mammal sightings, we’ll have the geology of Staffa, and a general post on where to stay and what to do. I think that makes a further five posts, but that may change as I write them! This entry was posted in Birds, Scotland. Bookmark the permalink. 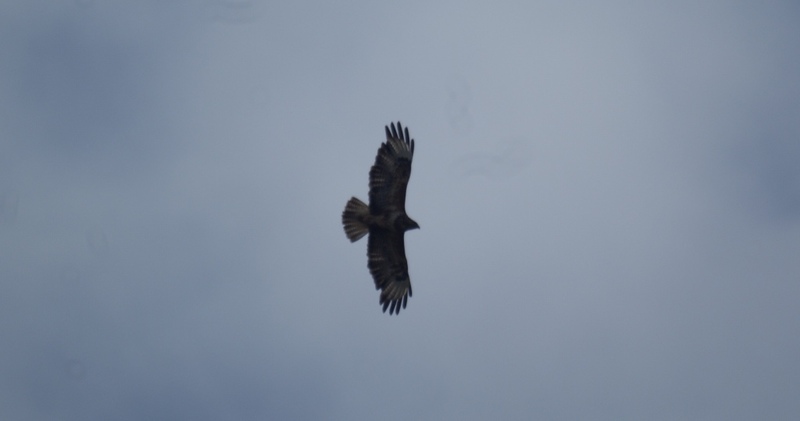 Pingback: Mull and Ardnamurchan – Part 2 – Birds of Sea and Shore | Why watch wildlife?